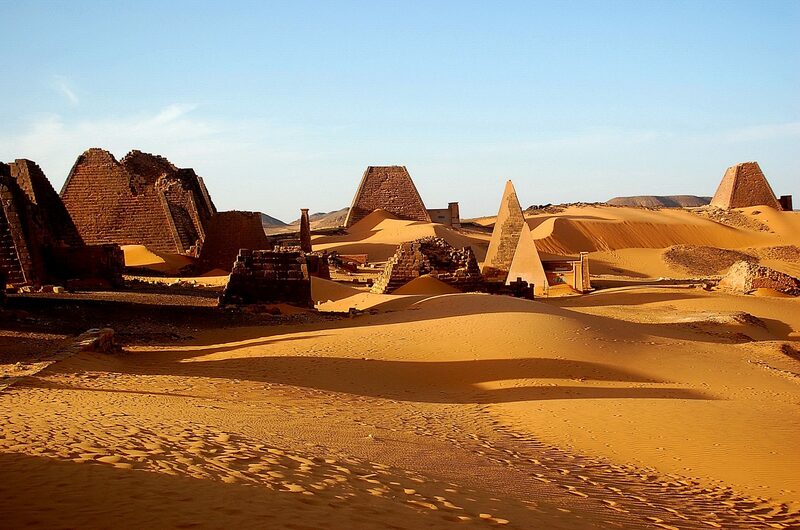 Around the 3rd century b.C., the Royal Cemeteries were moved from Napata to Meroe. This marked a change from such a heavy dependence on Egyptian practices and prompted the development of a more indigenous culture, a new era for the Kingdom of Kush. 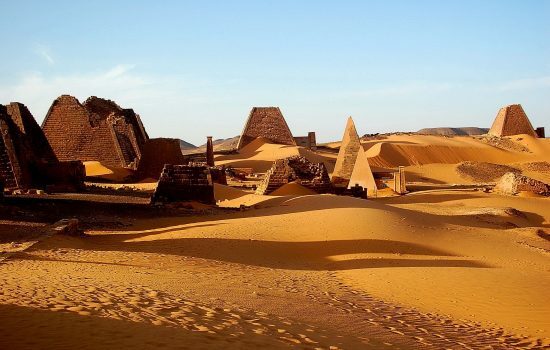 The first King Arkamani moved away from the tradition of following the priest commands and rules, starting the new capital in Meroe. During this reign, Egyptian hieroglyphics were replaced by a new Meroitic writing, which had both hieroglyphics and cursive script. 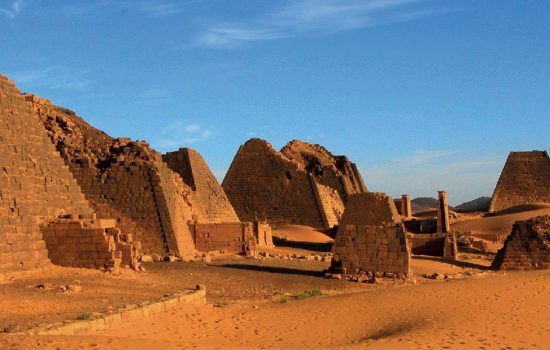 Meroe had a large range of trading routes, with Egyptian, with Greeks and Romans and the interchanges with different cultures influenced clearly the architectural style. 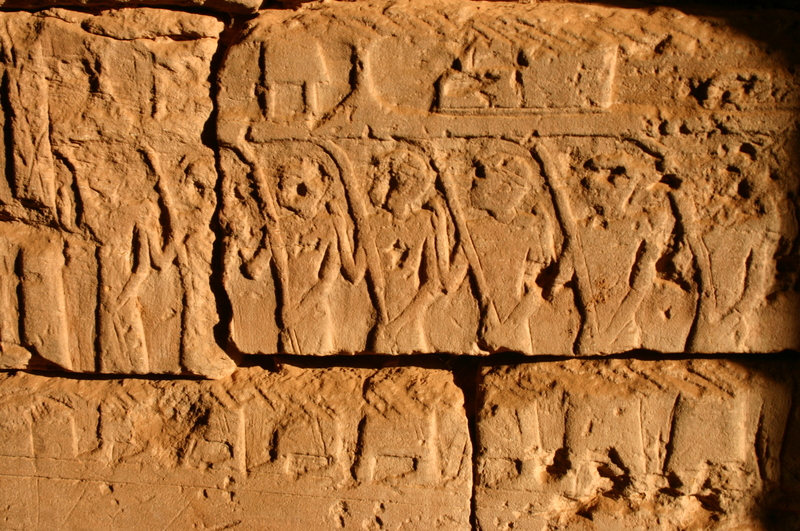 The Royal necropolis of Meroe is located at about 3 km from the Nile and 230 km. north of Khartoum, on some hills covered by yellow sand dunes. More than 40 pyramids stand out with their sharp shapes against the clear sky. Most of them are in perfect preservation conditions. 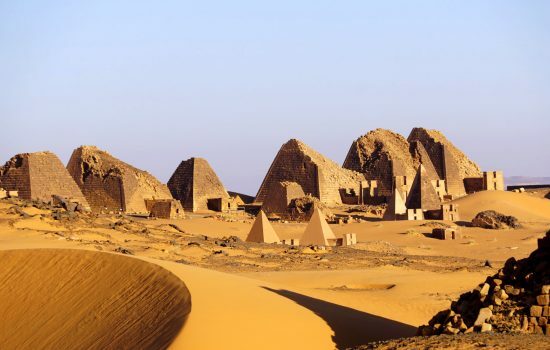 The Nubian pyramids have no mortuary room inside, the real tomb is dug below the pyramid itself and it is connected with the outside through an inclined tunnel. A small votive chapel is found in front of the pyramids with the walls fully decorated with bas-reliefs that shows the Royals’ and the gods’ lives. The ruins of the Meroe Royal City are located near the Nile bank. The excavations confirm that it used to be on a large area with a central one surrounded by suburbs and a boundary wall. Most of the area where the city is located has still to be excavated by the archaeologists. Here there are also the interesting ruins of the Royal Baths that used to be filled with the Nile water. 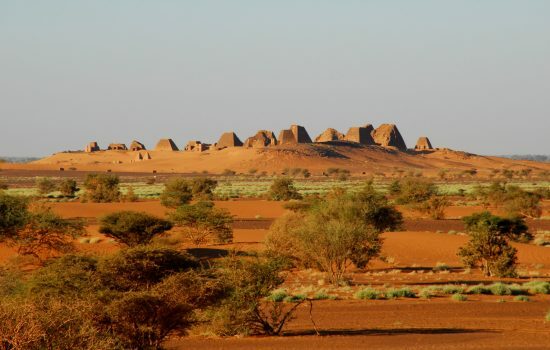 The area that has been excavated and examined up till now is enough to come to the conclusion that Meroe was a huge city with all the typical elements of the urban life style. 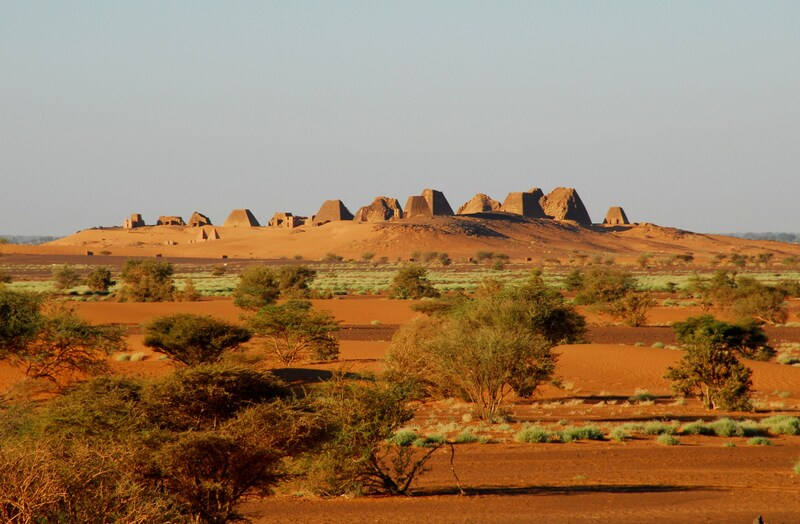 The Meroitic Kingdom monuments are some of the most important founds in the entire African continent. 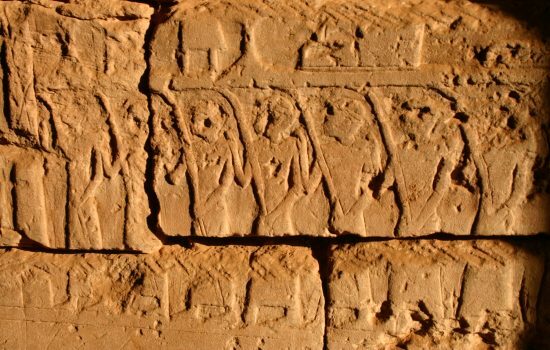 The Meroitic archaeological sites are listed as World Heritage by UNESCO since 2011.